Atlanta, GA, August 6, 2018: Adults play many roles and make countless decisions throughout the day; they go to work and maintain their health while dealing with ever-changing circumstances and uncertainties. They pay their bills and taxes all while honoring social commitments and serving in their communities. Adulthood is complex and rarely perfect, as most know firsthand; and in reflection, it poses an interesting question: What does it take to shape generations of young people into thriving members of society, both now and in the future? The concept of Moksha can seem irrelevant to youths, given the notion of invincibility associated with being young. However, the idea was presented throughout the convention in a practical and contemporary manner wherein programming focused on the importance of purpose, sincere effort, perseverance, prayer and introspection as core components of character. The convention was a journey spanning several days, leading youth on a path of knowledge that illuminated the relevance of spirituality in everyday life and the role of spirituality in defining a higher purpose. Over 10,000 children and youth between the ages of 8 to 22 were split into three groups and participated in three-day programs from July 1 to 10 at the Hyatt Regency Hotel in downtown Atlanta, Georgia. The 10-day event, unprecedented in the history of Hindus in North America was built around Moksha as life’s greatest pursuit that generates unwavering happiness to be experienced here and now. This broad theme led to a social conversation around “Moksha Now”, a theme that carried throughout the convention. The delegates learned that the means to achieve Moksha could also allow them to enjoy the world, especially when every task and activity undertaken focuses on keeping God and the Guru in mind. The comprehensive concept of Moksha was taught by explaining the efforts and context of Dharma (roles and responsibilities), Artha (worldly pursuits), and Kaam (desires). 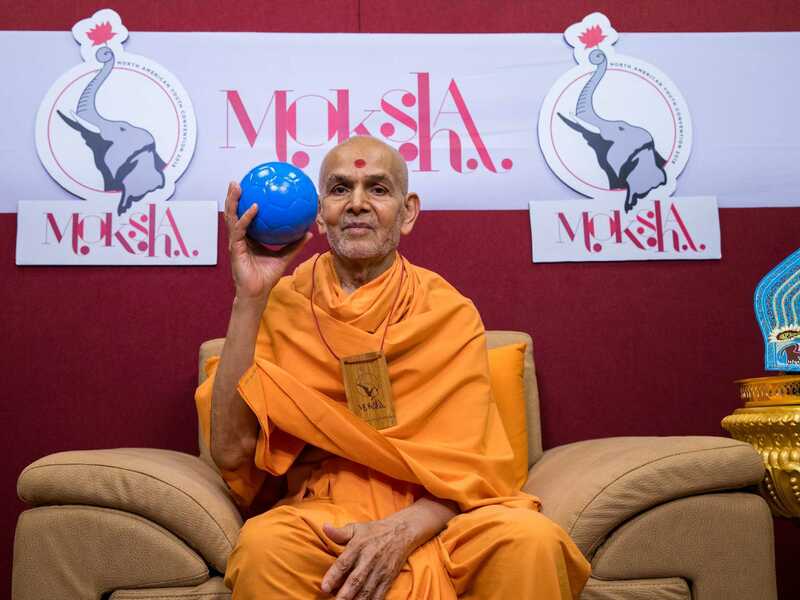 Speeches and presentations by senior swamis from India, Sadguru Pujya Ishwarcharandas Swami and Pujya Anandswarupdas Swami, as well as many others from across North America, simplified how to make Moksha-centered decisions in everyday living. They explained that living life with the goal to attain moksha leads to an elevated experience of daily interactions and an unfailingly optimistic perspective of life and the world around us. The experiences the delegates had will inspire them to lead a life aligned with the values and teachings of Bhagwan Swaminarayan and guru Mahant Swami Maharaj. 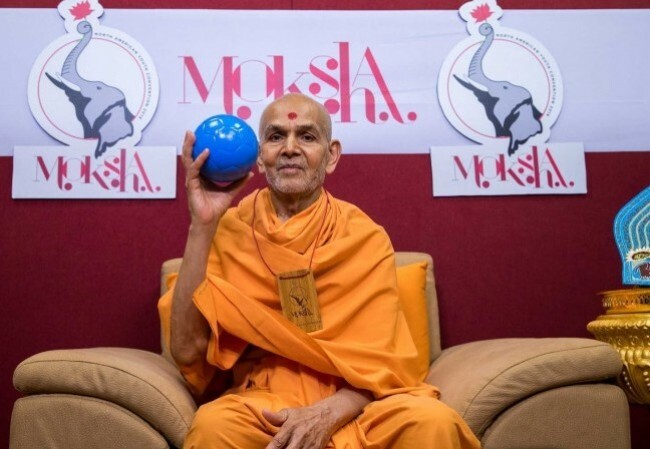 The convention was organized by BAPS specifically for youths in North America and inspired by His Holiness Pramukh Swami Maharaj and His Holiness Mahant Swami Maharaj.